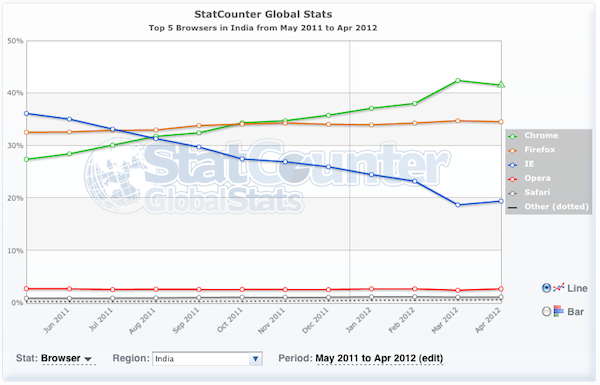 These stats are based on StatCounter by GlobalStats, a respected source for online user usage stats. 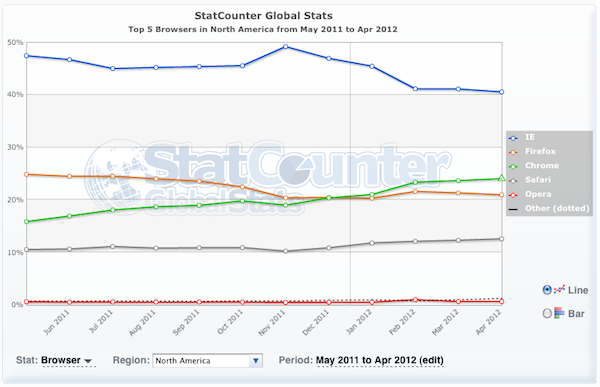 Other services might have different stats but regardless, their stats are a really good indicator of what’s going on in the browser world. 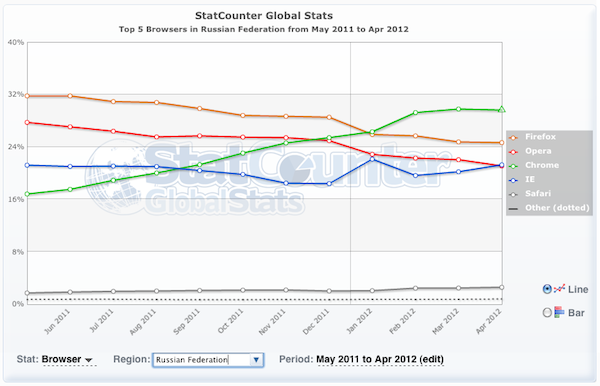 Here’s a graph of March 18th, 2012 with Chrome in the lead by 0.21% with a total of 32.71% of the browser market share. 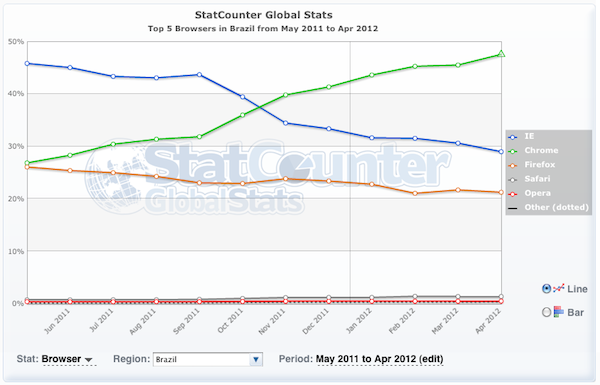 Seems that Brazil, India and Russia really like their Google Chrome and that is what contributed to Chrome’s fame for the day. 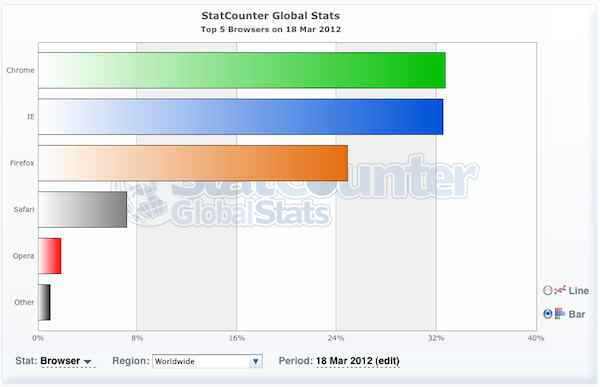 MS Internet Explorer is still going strong here in North America but Chrome is making inroads.